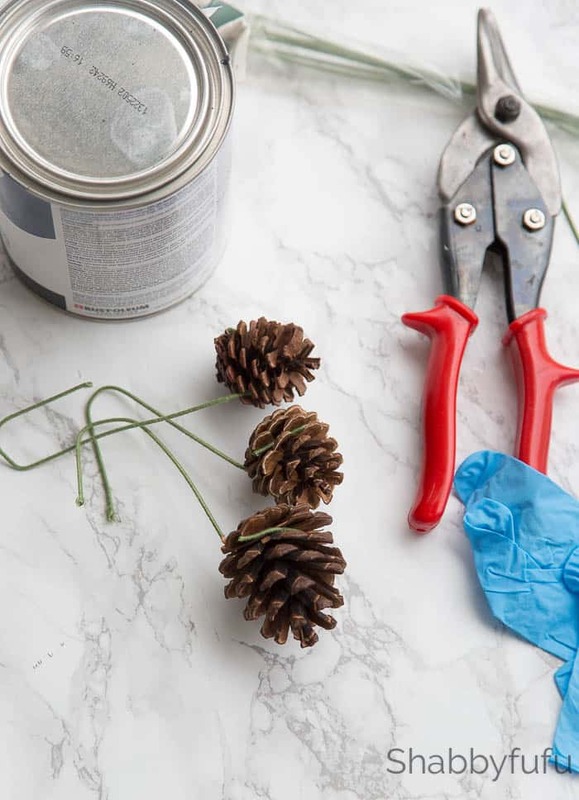 Painting pinecones is perfect for any holiday decorating because pinecones and free and so this is budget friendly! 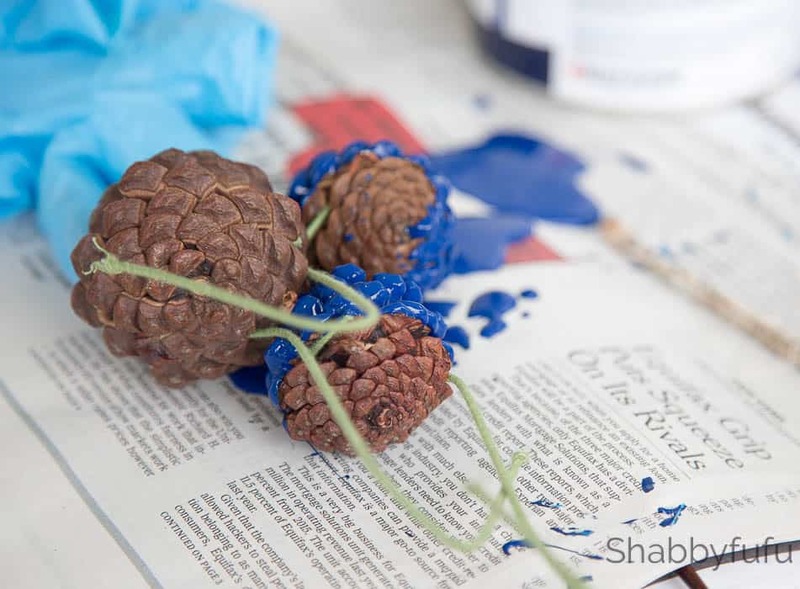 Make a batch of painted pinecones to decorate your holiday home or to give as pretty gifts with this tutorial. With the month of November looming and the holidays coming quickly I have been starting to plan that all important holiday decor. I haven’t actually put up any of it yet, but doing a CHRISTMAS DRESS REHEARSAL in my own head. Some people just go for it and get it done, others I know make a sketch and like much of my decorating it’s done in my head only…often keeping me awake at night. Are you like that at all with the vision of sugarplums ruining your sleep? We don’t have a ton of pine trees here in South Florida where I live, but we do have some. I’ve gathered them throughout the years on my morning walks and love to display them and do a bit of crafting here and there. 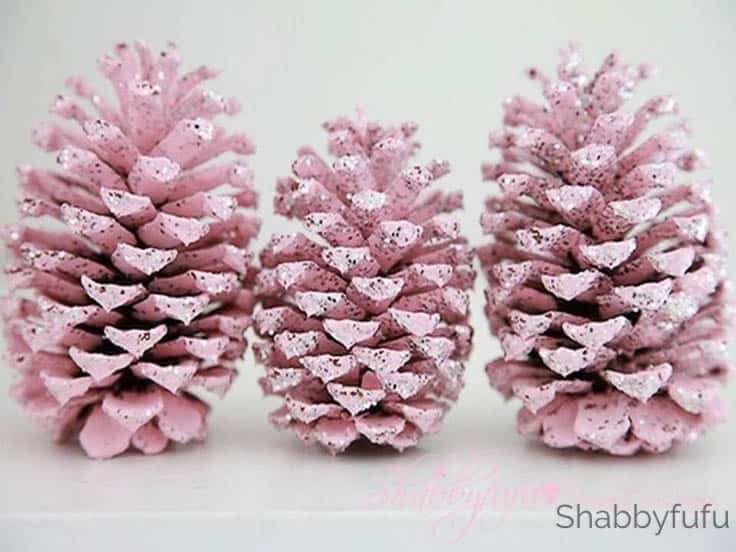 I’ve painted pinecones white (pretty and typical), I’ve glittered the heck out of them, I’ve tried my hand at bleaching pinecones, wax coating them…but honestly my favorite pinecones of all are these PINK PINECONES that I painted years ago and bring out to use every Christmas season. 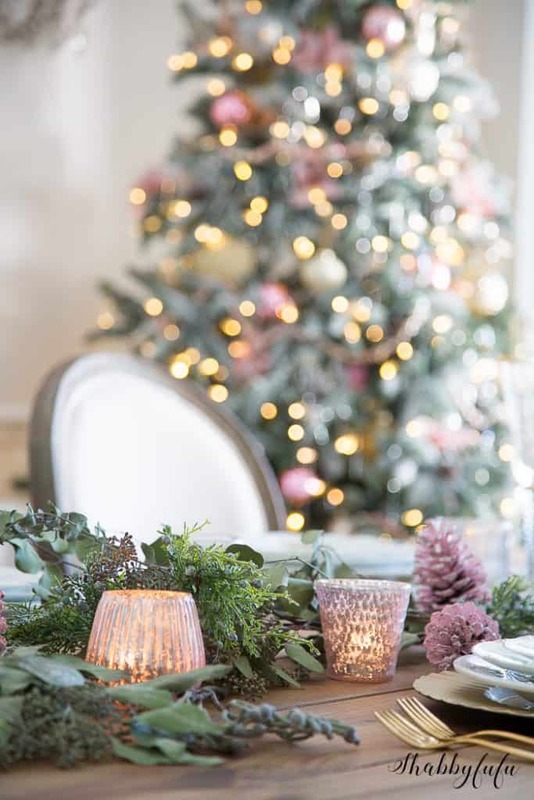 Here are some tips to painting your own pinecones the best way…the right way 😉 I’m saving you the trouble here of failed attempts, because I’ve had many!! 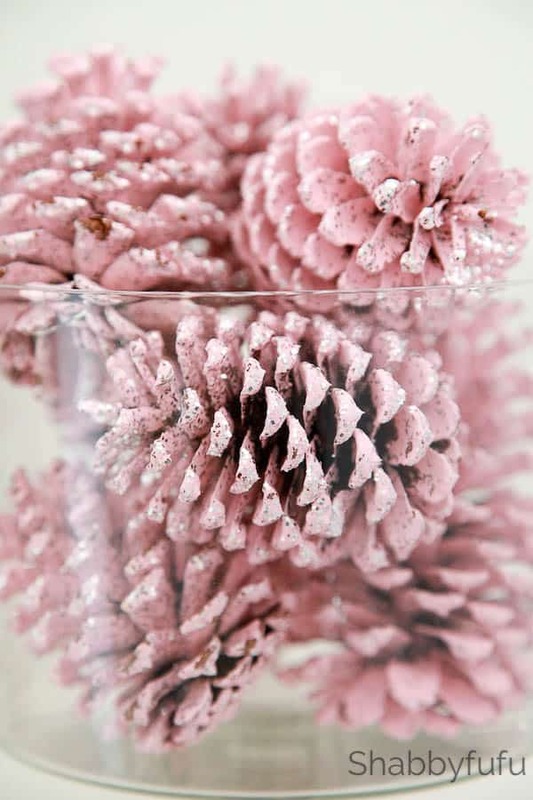 One of last year’s trees had some of the PINK PINECONES mixed in and I used them on the table as well. First, if you are bringing in pinecones from outside your might want to consider the fact that they could have some nasty critters living in them that you may not see right away. Unless you’re planning on bleach them I would bake them in the oven because heat kills any lurkers!Bake in an oven that is set to no more than 200 degrees because any higher and they could burn. Bake on a cookie sheet lined in parchment paper or foil and keep an eye on them and watch how they open up by baking. Turn over to prevent burning just keep an eye on them. There is no specific timing on this, depending on your oven and the moisture content of the pinecones. Once debugged they are ready to paint. Take some floral wire and wrap loosely around the top (flatter) part of the pinecone until secure enough to hold and dip into the paint. Keep the length of the wire long enough to create a little curved “hanger” on the opposite end. 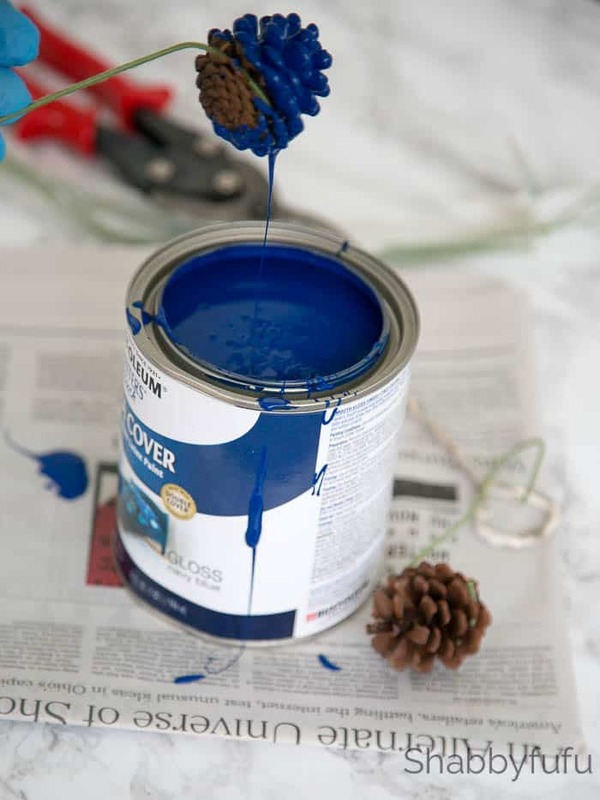 You’ll want to set up a small spot to hang the pinecones and allow the paint to dry. Be sure to line wherever that is with newspaper or a dropcloth because the paint will drip. I use my laundry room tray sink that has a closet rod over it for drip drying fine washables. 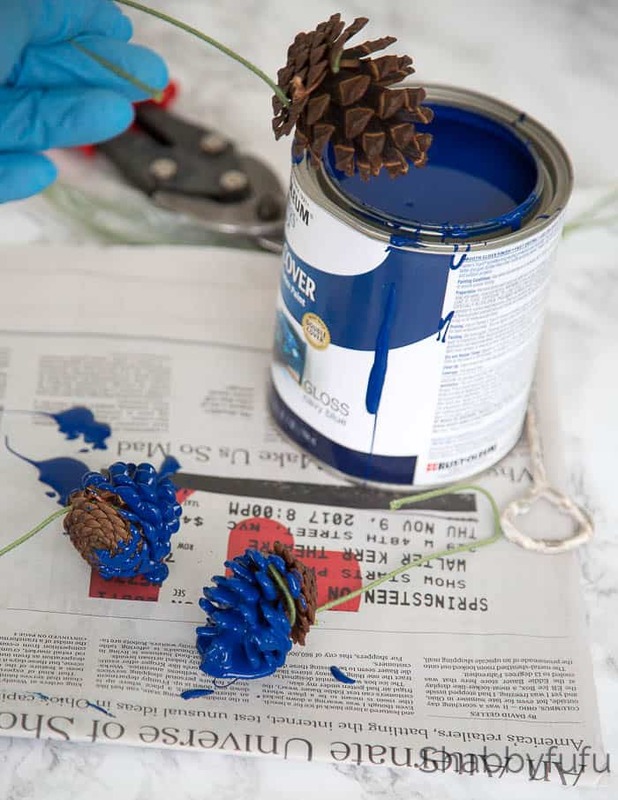 I like to use household latex paint for my painting pinecones projects. It just so happened with the pink ones that I make years ago that I had some pink paint leftover from a baby nursery project, so that’s what I used. Obviously use what you have and in a color that you love! I don’t like spray paint for pinecones because it just gives a light mist and I prefer better coverage. 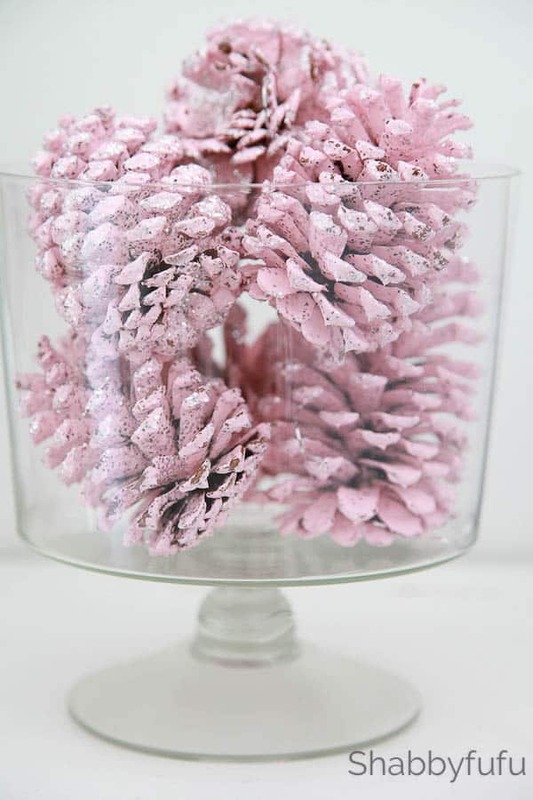 Simply dip the pinecones one by one into the paint and suspend from the closet rod (string, outside on tree branches…etc) to dry. Don’t touch…just be patient and let it dry! One it is dry you’ll just need to remove the wire and you’re done. For these I wanted a little bit of glitz, so after they were dry I painted the pinecones with regular school glue (the white kind) using a paintbrush and sprinkled on some glitter. EASY. Pretty in PINK (NAVY)…or any color that you choose for YOUR HOME. 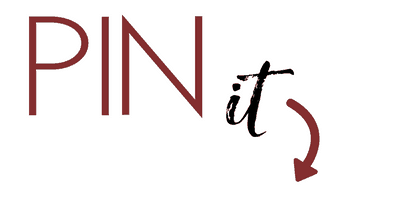 Painting pinecones is fun to do with your family and the perfect gifts! 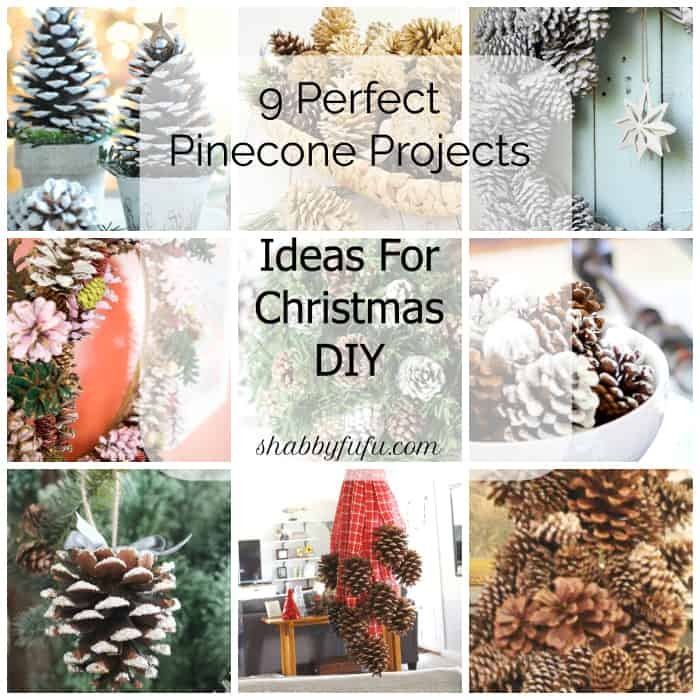 As a bonus today I have 9 wonderful tutorials for you to check out below for more ideas to use those pinecones with in CRAFTING FOR CHRISTMAS! 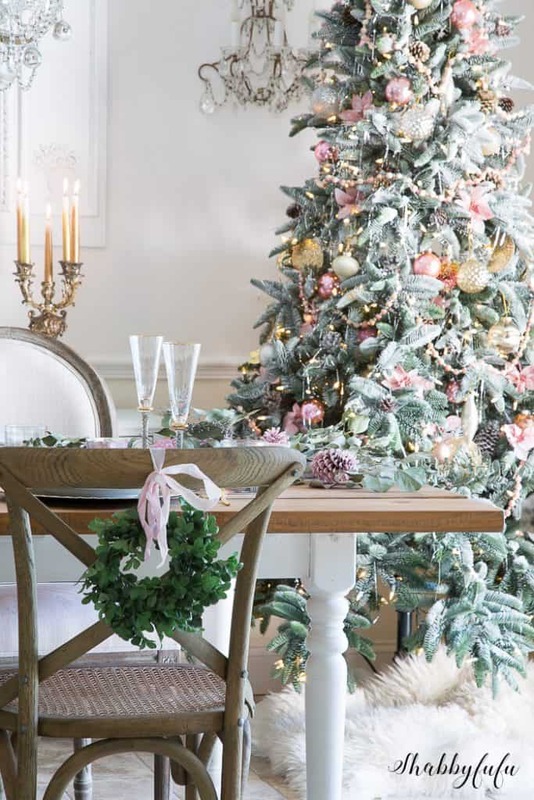 SUBSCRIBE FOR MY FREE SEASONAL DECORATING GUIDE & OTHER FUN THINGS!